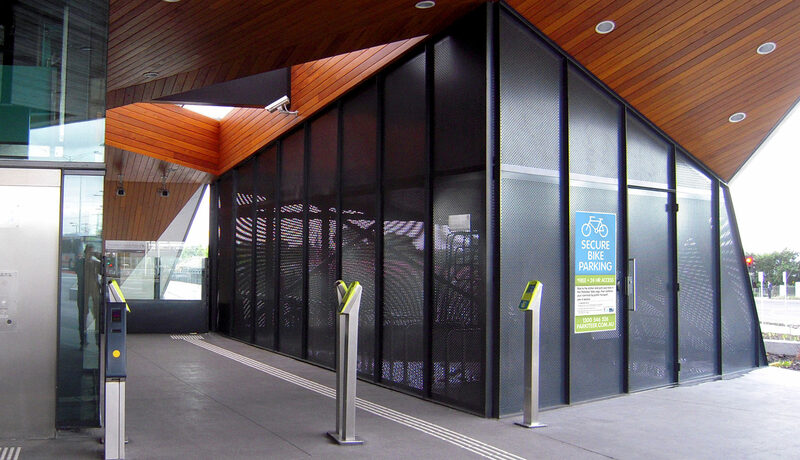 Parkiteer is a Public Transport Victoria service run by Bicycle Network. If it’s too far to ride from home to work or school, you can now ride to the station and safely park your bike. You don’t even have to think about finding a car park! There are more than 100 Parkiteer cages across the Victorian metropolitan and regional rail network with more opening every year. More than 18,000 members across metropolitan and regional Victoria are enjoy the ease of Parkiteer. 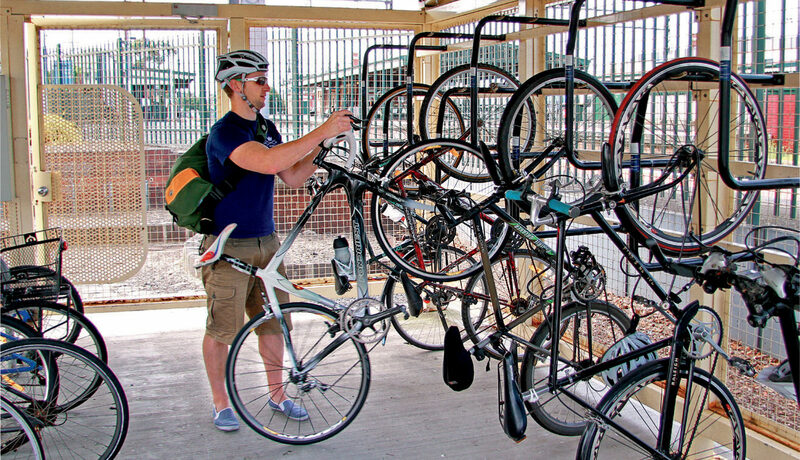 See how simple it is to safely park your bike at the station. If you have any questions or are having issues using Parkiteer, please call our 24 hour service centre on 1300 546 526. 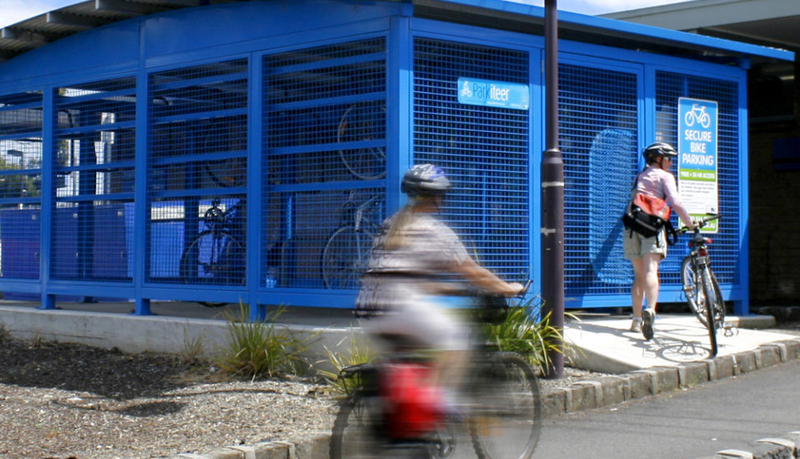 To celebrate the opening of our new Parkiteer Cage at Middle Gorge Station we’re offering free bike tune-ups thanks to our friends at Pedal Power Garage. 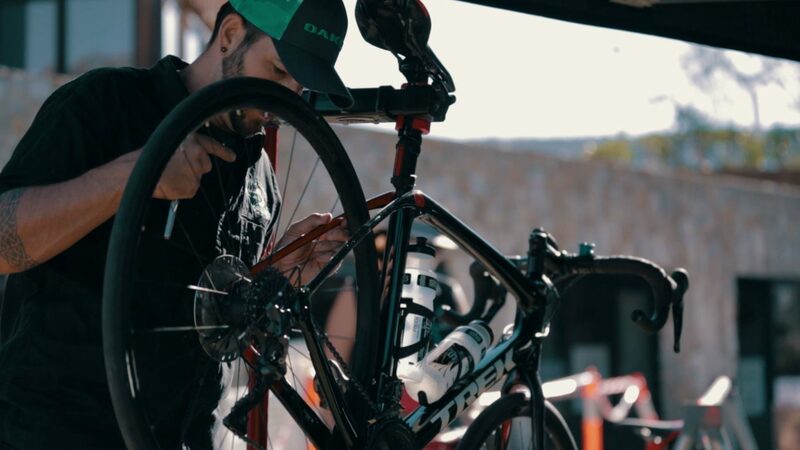 Dust of your wheels, visit us and get the bike ready for the warmer months! Are Parkiteer cages free to use? Yes – it is free to use a Parkiteer cage. When registering, a $50 deposit must be paid for an access card, which is refunded if you choose to stop using the Parkiteer service. Can I use any Parkiteer cage? Yes. Your Parkiteer card will allow you access to any cage in the network, metropolitan or regional. How do I register to use Parkiteer? Simply register online via this link. You will then receive an access card in 5-7 days which you can activate online. Then you’re good to go. Can I park my scooter/motorbike in there? No, Parkiteer cages are for bicycles only. Can I store my bike in the cage long-term? No, Parkiteer cages cannot be used as a home for your bike. Bikes that appear to have been abandoned are removed from cages. Can my friend enter and park their bike in a Parkiteer cage with me? No – only registered members can use Parkiteer cages, and each member must enter using their own card. This ensures parking is prioritised for members and security maximised. The terms and conditions for using Parkiteer can be found here. If your access card is lost or stolen please call us immediately on 1800 639 634 to deactivate the card. A new card can be ordered online for $10.